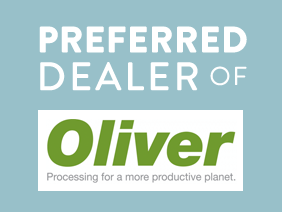 With over 80 years of experience in the industry, USA-based Oliver Manufacturing offers efficient, low maintenance gravity separators, destoners, size separators, fluidized bed dryers, and more. Due to their durability and efficiency, we are proud to offer our clients this trust worthy brand that can handle products for seed, nut, coffee, recycling, lumber, and mining industries. The Voyager & Maxi-Cap Platinum gravity separators are the first fully automated separators on the market, allowing you to program your production jobs into memory for ease of efficiency between jobs. 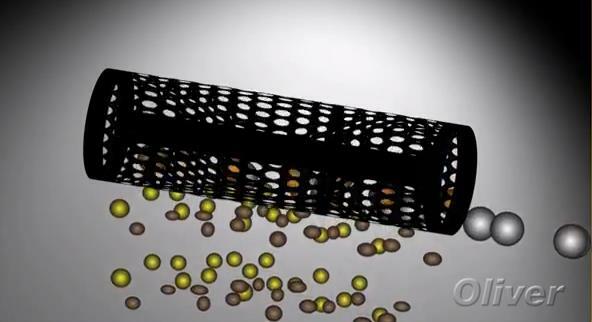 Destoners quickly remove heavy contaminants from granular flowables. Gravity Table Separators sort by density within a few percentage points. Fluid Bed Dryers provide gentle, uniform tack-free drying after costly coatings and treatments to seed, soybean, corn and other edibles. Precision Sizers grade material by size within thousandths of an inch. Need a recommendation? Send us a note. Ensure your harvest performs to its full potential. Dehydrated or imperfectly formed seeds can dilute your harvest’s results in the field. The Oliver SIZE RIGHT Precision Sizer will find and remove underperforming, dehydrated or partially formed seeds that may vary only a few thousandths of an inch that makes all the difference in results. Using evolved design, state-of-the-art manufacturing technology and the tightest screen tolerances in the industry, the SIZE RIGHT can remove seeds that vary as little as .003” in size or shape. Our patented, custom-made, high tech cylindrical screens are the secret; and they are so effective, we even provide them for competitive machines.